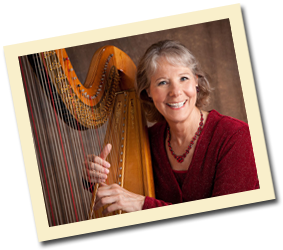 The Roxanne Ziegler, Harpist (RZ) website gathers only generic information about site visitors in two ways. The web hosting service gathers site traffic data. This data is reported to RZ as an aggregate; no individually identifiable information is provided. This site uses the Google Analytics (GA) tool to measure and report site traffic. GA places a browser cookie on the hard drive of the site visitor. This cookie gathers only anonymous traffic data and reports it to RZ as an aggregate. No individually identifiable information is provided to RZ. Information provided by this site's visitors via the Contact page is solely used by RZ for communicating with the senders. RZ never sells e-mail addresses. All content included on this site such as text, graphics, logos, button icons, images, audio clips, digital downloads, data compilations, and software is the property of RZ or their content suppliers and is protected by United States and international copyright laws. The compilation of all content on this site is the exclusive property of RZ and protected by U.S. and international copyright laws. All software used on this site is the property of RZ or their software suppliers and protected by United States and international copyright laws. All photos on this site with exceptions on two pages were taken by and are copyrighted by Palmer Photography. The exceptions are photos noted on Harp Lessons and About the Harps that were taken by and are copyrighted by Business Vitality LLC.